The Big Thrill at Six Flags Great Adventure! Lions and tigers and bears – oh my! 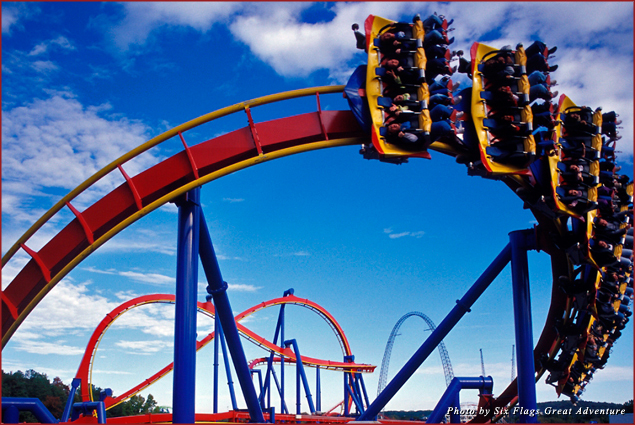 Welcome to Six Flags Great Adventure in Jackson, New Jersey – home to some of the world’s crazy scariest roller coasters and thrill rides (even the seemingly tame carousel requires a seat belt!). Nothing gets my adrenaline pumping quite like a good spin upside down – here are my picks for the top three rides to experience on your next visit! It’s a bird, it’s a plane — no it’s just a throng of thrill seekers “flying” (literally — this coaster is ridden on your stomach) at supersonic speeds across South Jersey. One of the most popular rides at Great Adventure (two-hour-long waits on weekends can be expected without the Flash Pass), this high-intensity coaster is not made for the faint of heart — in fact, the Man of Steel himself might feel a tad queasy post-ride! Right next door to Superman, this just-as-intense coaster is Great Adventure’s newest offering for adrenaline junkies. While the Superman had you on your stomach, the Green Lantern has you on your feet. My stomach and knees did the loop-the-loop while on this multi-loop-the-loop track — let’s just say I had some trouble walking over to the number-one pick, which is…. 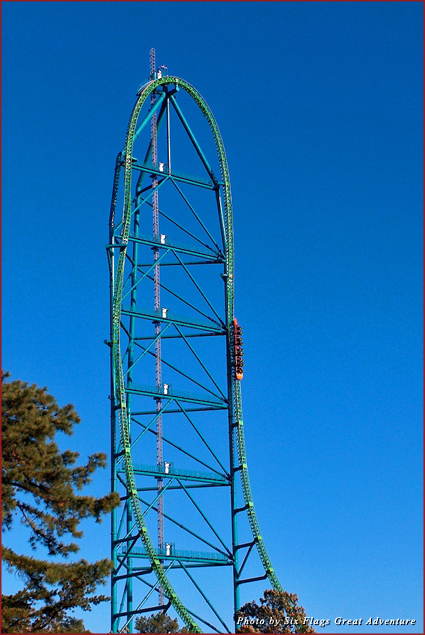 What is Kingda Ka? Only the tallest and fastest roller coaster in all of North America! I most recently checked out the Top Thrill Dragster at Cedar Point (the second-tallest and second-fastest coaster in North America) so I was uber-pumped to see how this compared. Both rides are similarly designed, with one large “camel hump” up and a free fall straight down. 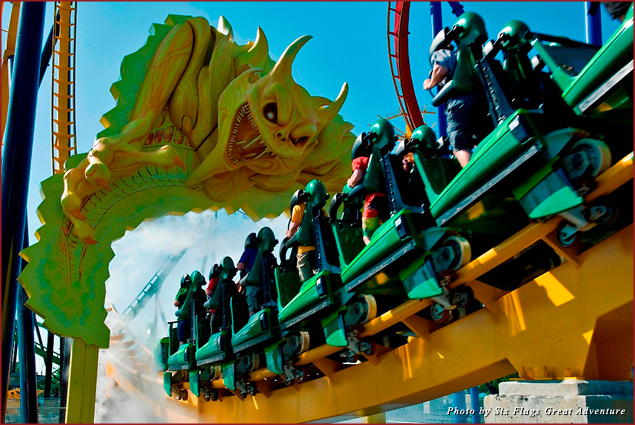 The ride only lasts a few seconds, but it’s a must-do for any coaster freak.